St. Patrick’s Day is a such a fun holiday to celebrate. A holiday you can get the whole family involved but one that is particularly fun for adults! 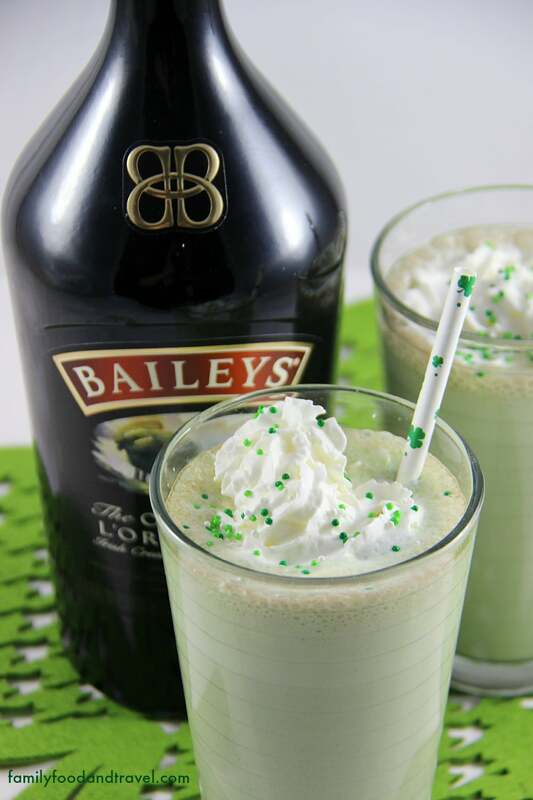 I’ve made this delicious Mint Chocolate Chip Baileys Milkshake in honor of all things Irish. A delicious treat or dessert for St. Patrick’s Day or any day of the year. This milkshake will make you wish St. Patrick’s Day was every day of the year! Place ice cream, milk, Baileys, vanilla and ice cubes in a blender and mix until fully combined and ice cubes crushed. Pour into tall glasses, top with whipped cream and sprinkles and insert a paper straw. The great think about this recipe is that you can easily omit the Baileys to make a non-alcoholic kid-friendly version. To do so, increase the milk to 3/4 cup. 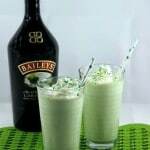 A delicious adult drink for St. Patrick's Day made with Baileys Irish Cream and Mint Chocolate Chip Ice Cream. Pour into tall glasses, top with whipped cream and sprinkles and insert straw. 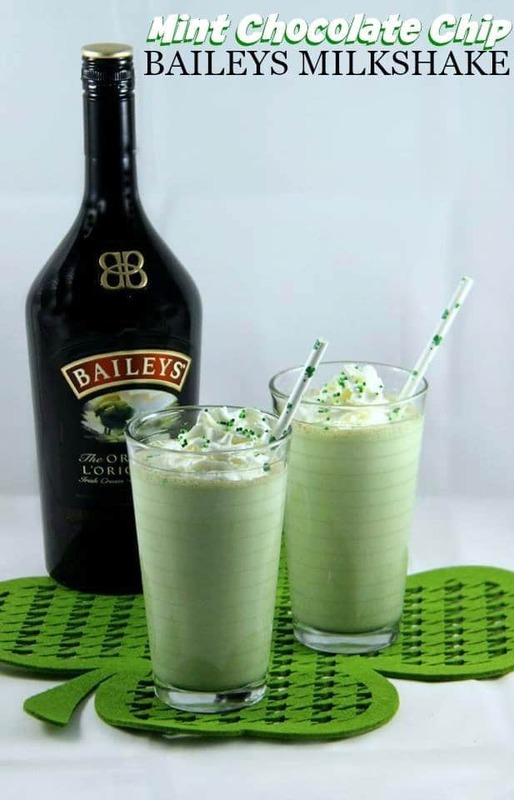 Whether you are Irish all year or just for a night you will love the flavors of this milkshake. Perfect for a St Patty’s Day party or a celebration at home. If you are looking to tone down the alcohol decrease the Baileys and increase the milk. 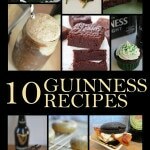 Looking for ideas to celebrate St. Patrick’s Day? We’ve got some great ones from crafts to recipes for a fun-filled St. Patrick’s Day. Check out some of our favorite delicious St. Patrick’s Day recipes – we know you’ll love them! 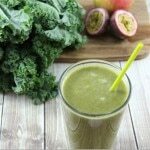 Healthy Shamrock Shake – a great alternative to our alcoholic milkshake – this one is perfect for the kiddos. We love any type of bark recipe but this Mint Oreo Cookie Bark is a delicious way to celebrate all things green! Love Red Velvet desserts? 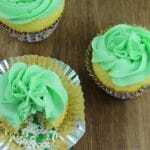 Try a yummy Green Velvet Cake for March. 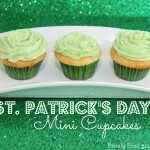 Adorably cute kids love our Mini St. Patrick’s Day Cupcakes and these Leprechaun Hidden Treasure Cupcakes. Looking for a hearty St. Patrick’s Day meal? Try our Guinness and Beef Stew perfect for a cold day. Ready to make a craft with your kids for St. Patty’s Day? Check out our DIY Paper Shamrock. 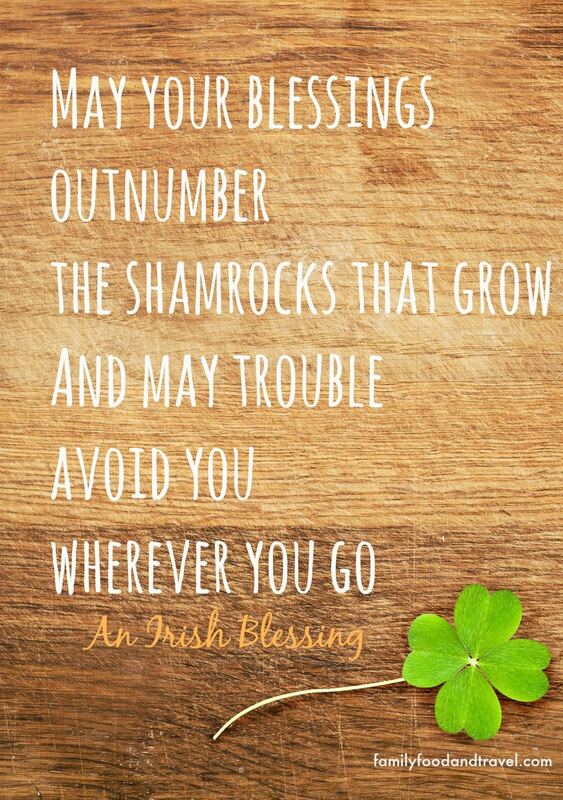 No matter how you celebrate St. Patrick’s Day – may the luck of the Irish be with you! I love these! I haven’t had one in ages and now I am craving it. I will have to try this recipe out. Sounds really good. Can’t wait to try it. This would be perfect for St. Patrick’s Day! Oh I am SO going to try this! Thanks! Oh wow, I would love to have a sip of this! Yum. Adding Bailey’s makes everything better!